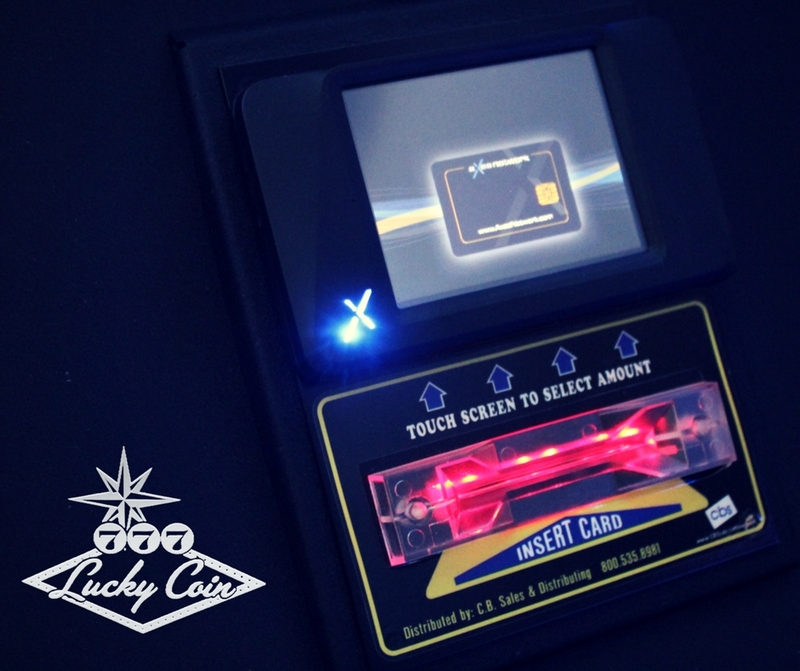 Skill Game Card Reader System - Lucky Coin Inc.
Lucky Coin is now offering a cashless option for all of our Georgia Class B COAM Skill Games! The Skill Game Card Reader System from AXES Network, now provided by Lucky Coin, will help to solve some issues that locations with have faced in the past. 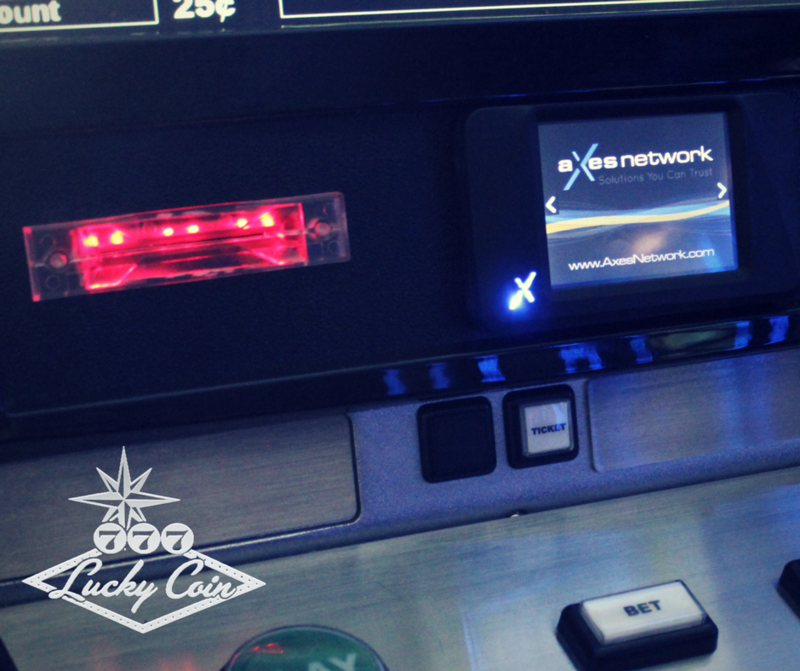 The AXES Network card reader is installed, maintained, and serviced free of charge by Lucky Coin for all locations looking for a cashless card reader option for their games! Less issues with bill acceptors-Now instead of having a bill acceptor on each individual game, with the AXES Network card reader system, the one reload station will accept all the cash and deposit it onto each individuals player card. This makes for no bill acceptors on the games, so less bill jams and rejected bills, and less headaches for location owners! Create customer loyalty-Each location will be provided with location branded players cards that can only be used at that location. Which not only creates customer loyalty, but also make it easier for players to move from game to game without having to print tickets! GA Lottery Compliance-The card reader system makes for easier accounting for the location owner and also makes redemption for location gift certificates, lottery tickets, Keno, and store merchandise, so much easier! Online Portal for Location Owner-Allows the location owner, as well as Lucky Coin, to track which games are being played and when, which games are the most popular, and how much each game is making. This allows for the location owner and Lucky Coin to make sure that the right mix of games are in the location! What does Lucky Coin provide with the GA COAM Card Reader System set-up? Lucky Coin provides an AXES Nework card reader touchscreen and card acceptor on each GA COAM Class B skill game machine, a handheld POS, standalone Reload Station, and Location Specific Players Cards.